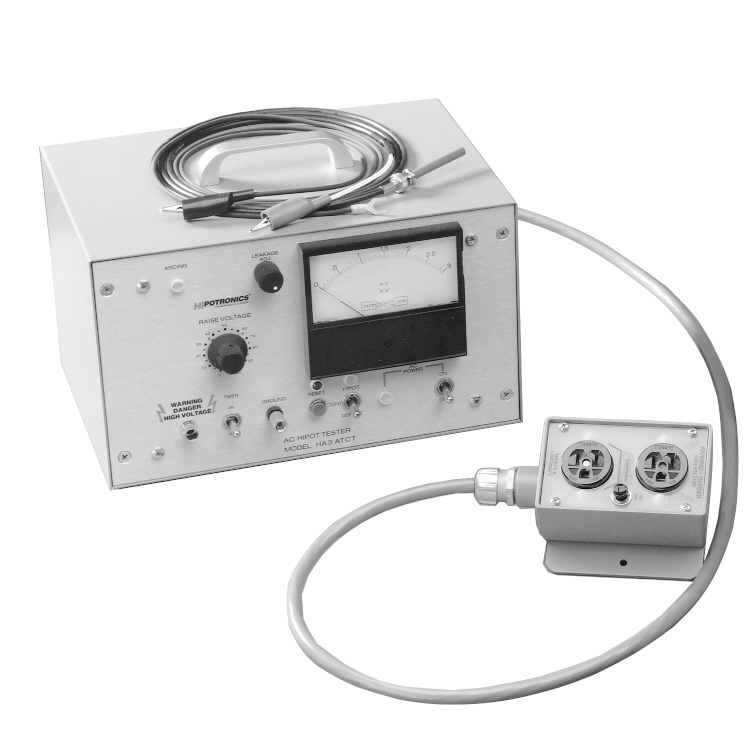 Hipotronics 30A48-60Y9I Peschel Variable Transformer PVT. 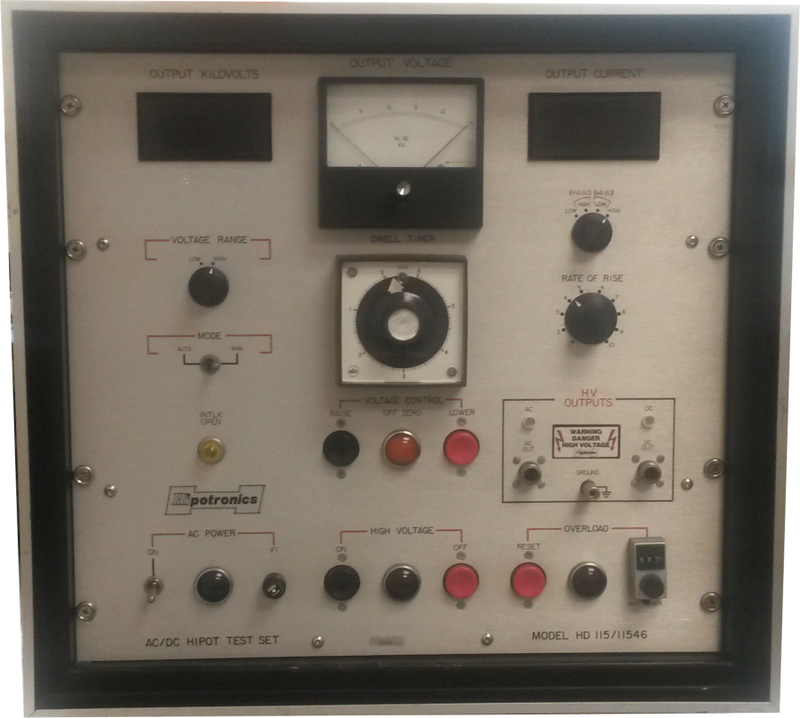 Three Phase 480V Input / 0-600V output up to 90A / phase. 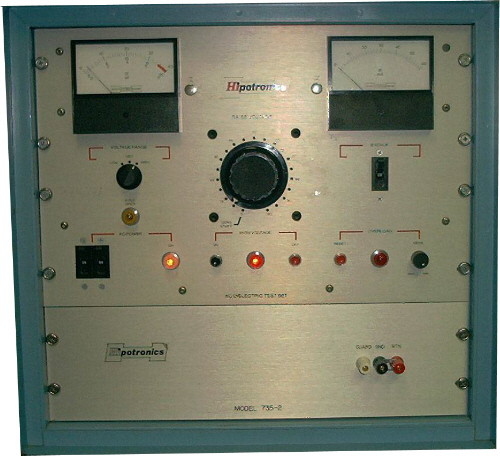 Rack system with metered output and controls. 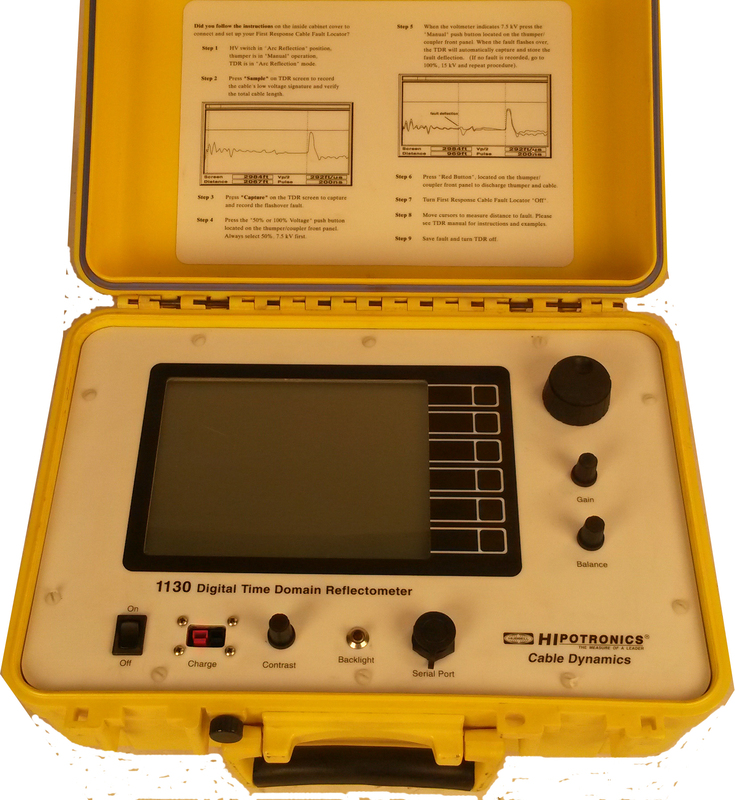 Hipotronics 5100 portable first response cable fault locator thumper with TDR. CFFR-A. 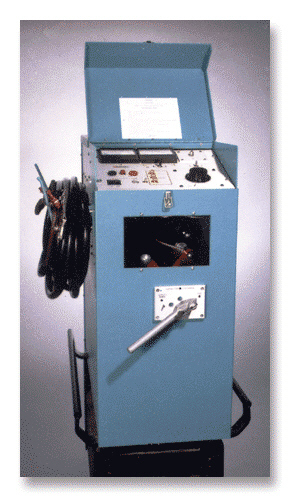 480J at 15kV with 15 Second charge time. 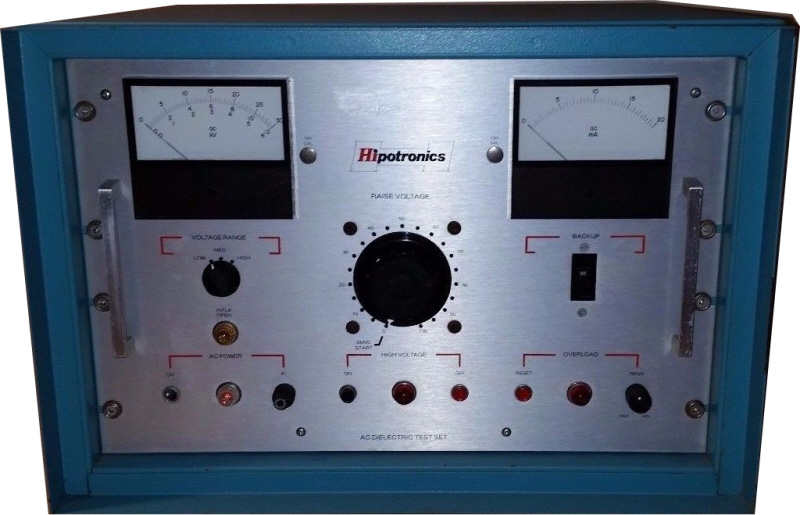 Hipotronics 702.5-.5/6.5 - Hipot Tester. 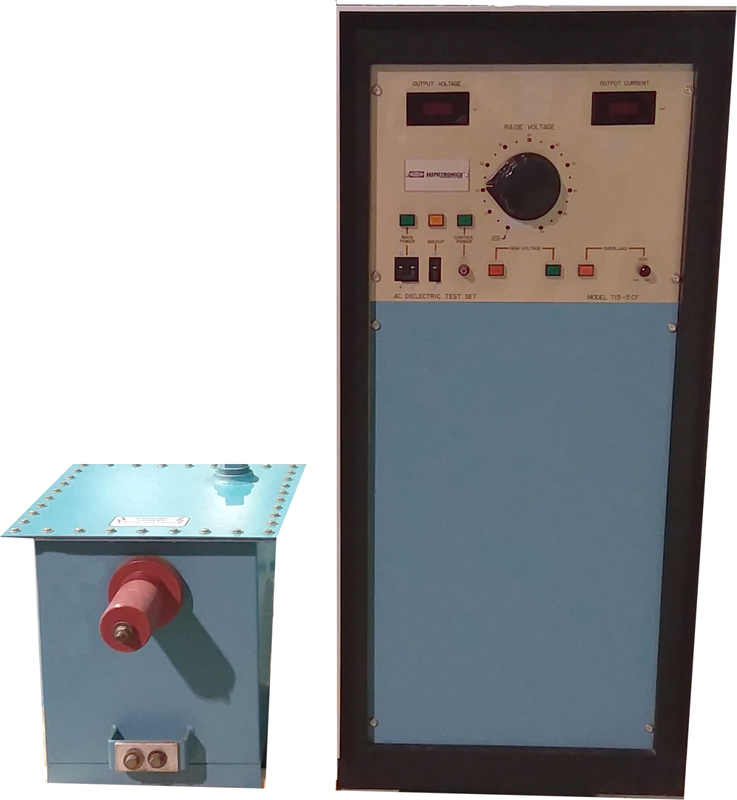 AC up to 2.5KV 200 mA, DC up to 7.5 KV 100uA. 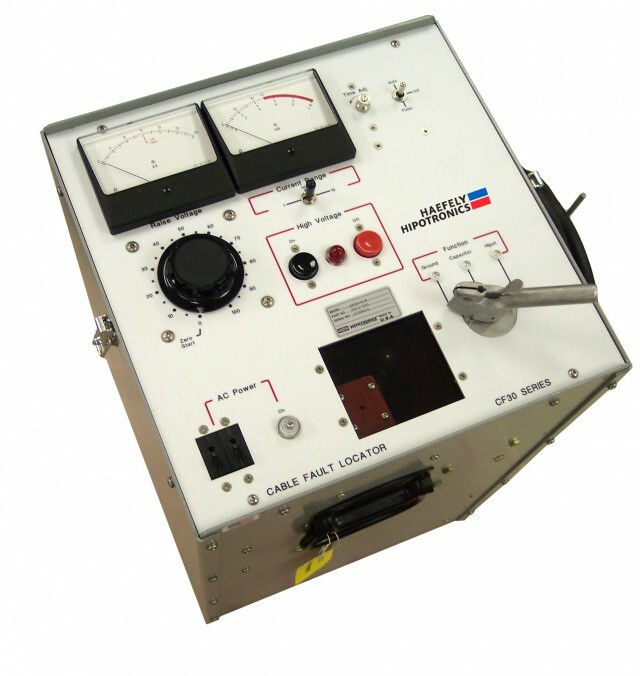 Hipotronics 710-1-A 0 - 10KV AC Hipot tester. Up to 100 mA. 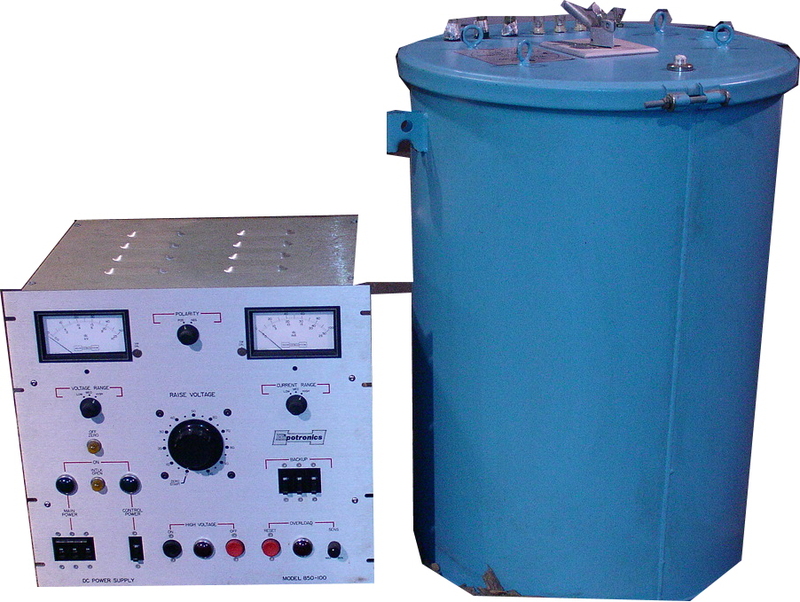 1 kVA. 120VAC line input. 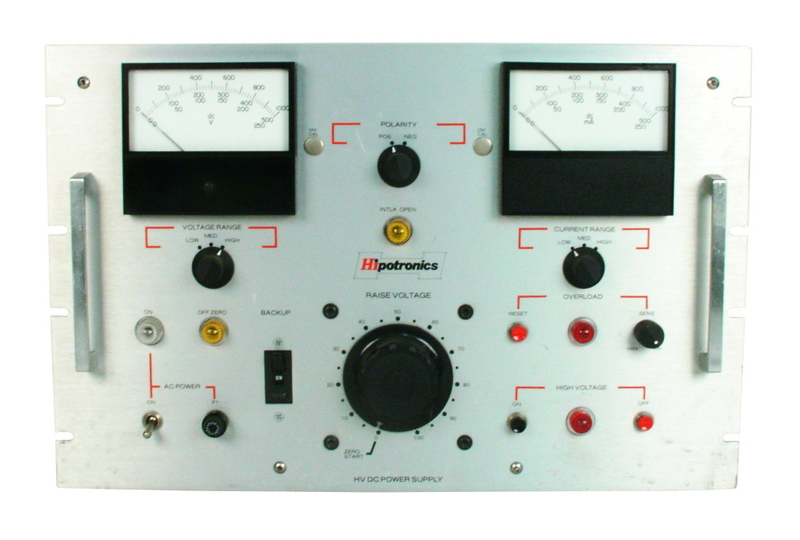 Hipotronics 7100/50-10 - 0 - 100KV, 0 - 100 mA / 0 - 50KV, 0 - 200 mA AC Dielectric Test Set / Hipot Tester. Requires 240V single phase input power. 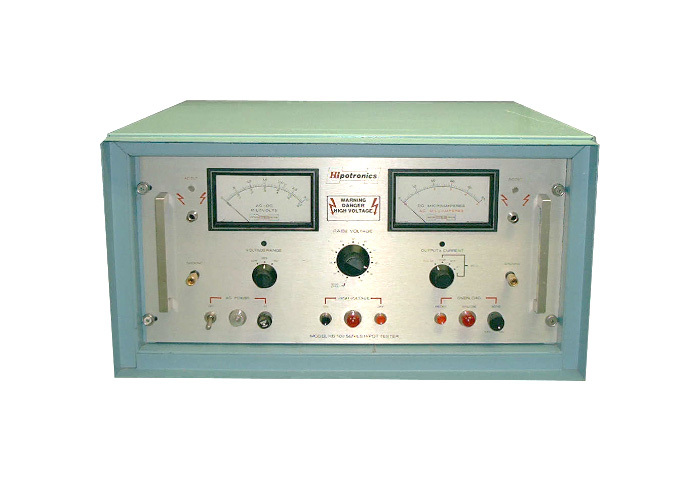 Hipotronics 715-5CF AC Hipot Tester. 15 kV, 333 mA. 5 kVA. 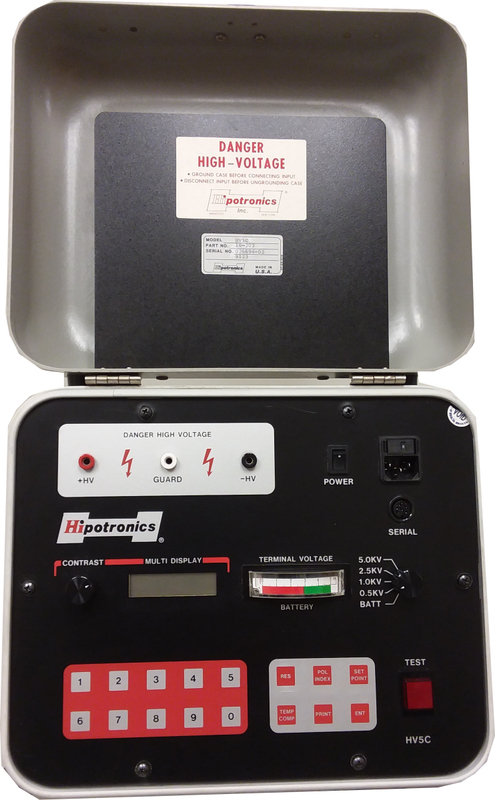 Hipotronics 725-1 0 - 25kV AC Hipot tester. Up to 1 kVA. 40 mA. 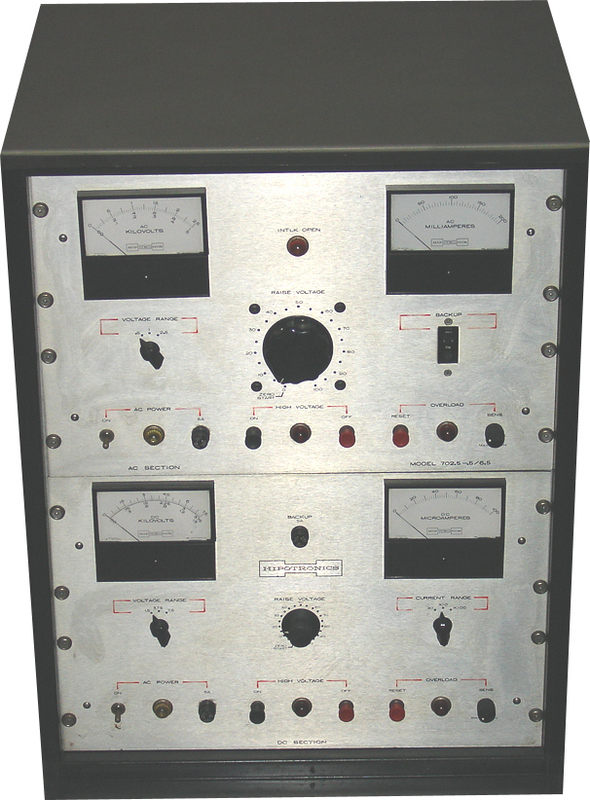 Two piece unit with connecting / control cables. 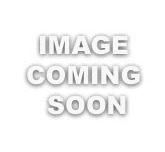 Hipotronics 850-100 - 0 - 50KV, 0 - 100 mA DC Power Supply. 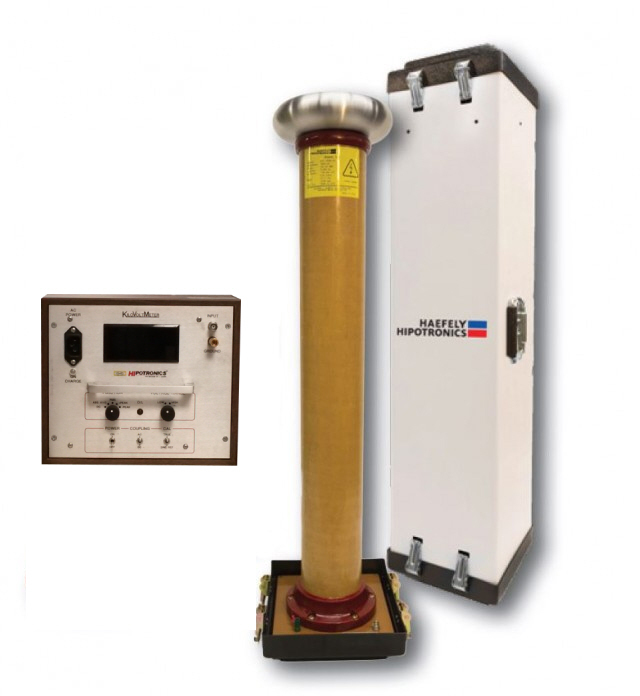 Requires 208V three phase input power. 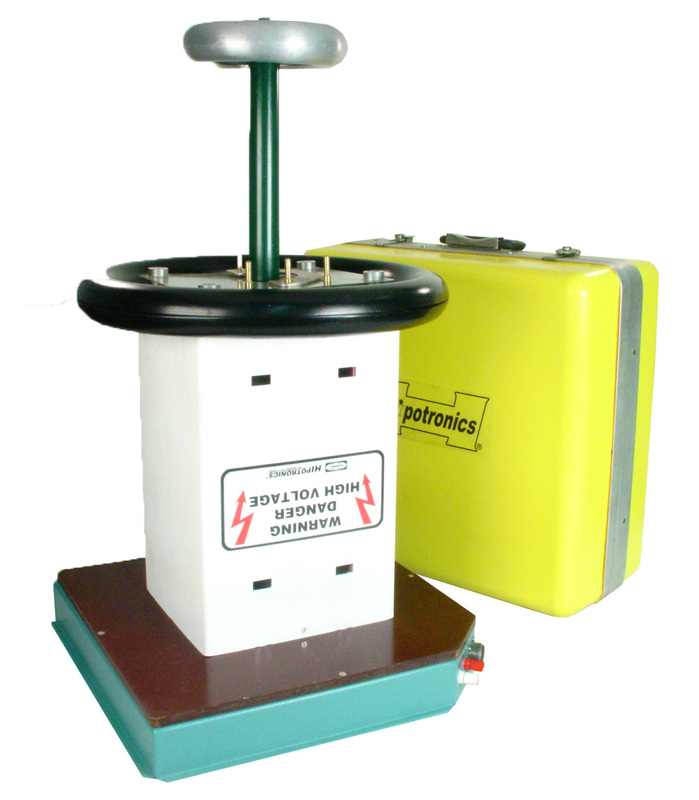 Hipotronics 860PL 60 kV DC Hipot Tester. 5 mA. 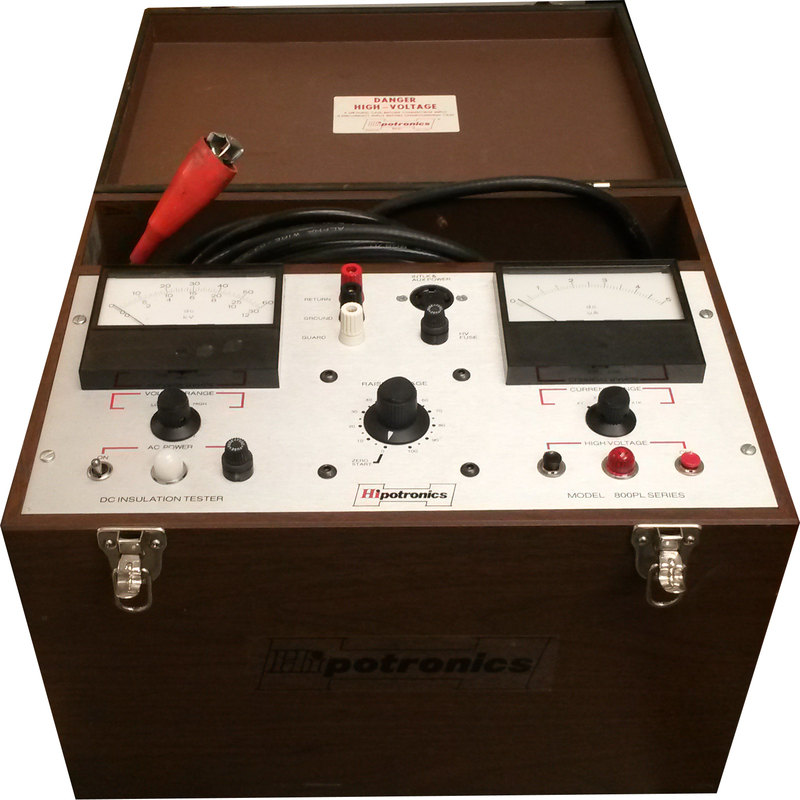 Hipotronics 880PL-A 80 kV DC Hipot Tester. 5 mA. 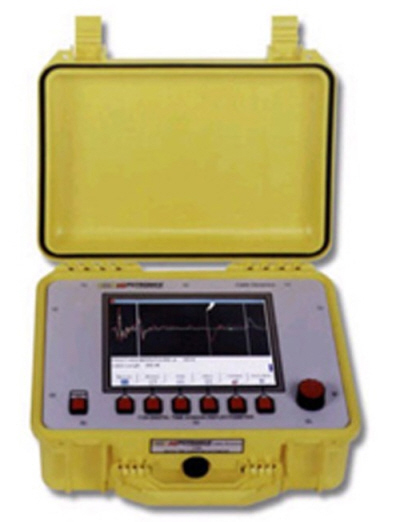 Hipotronics CF70/25-12C - Cable fault locator. 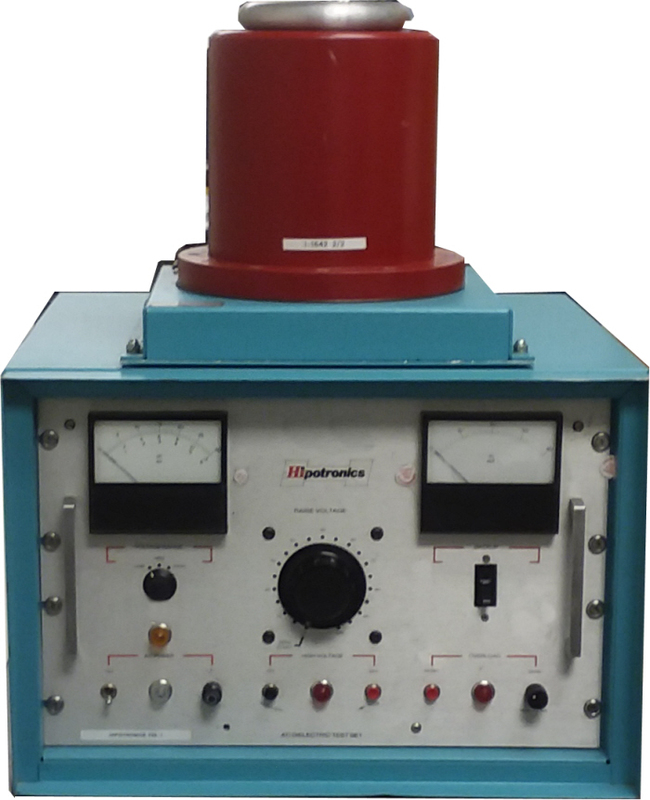 70 KV dc proof tester. 100 mA burner. 0 - 25 KV dc thumper. 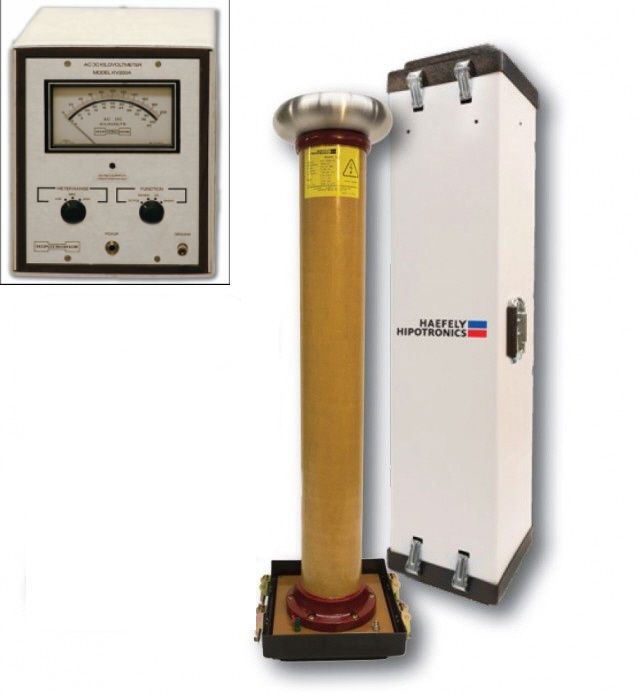 Hipotronics H306B - AC DC Hipot & Megometer. 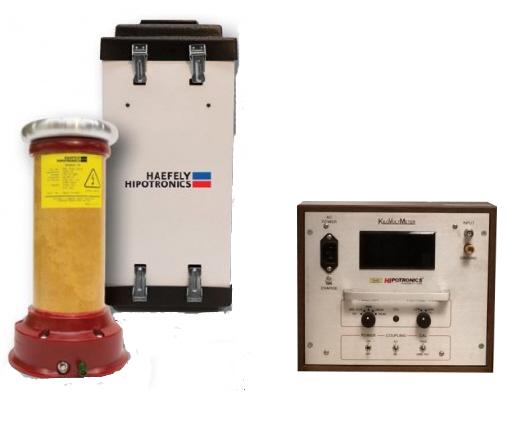 0-5KV AC, 6KV DC, 0-5.5 mA Hipot, up to 100,000 MOHM. 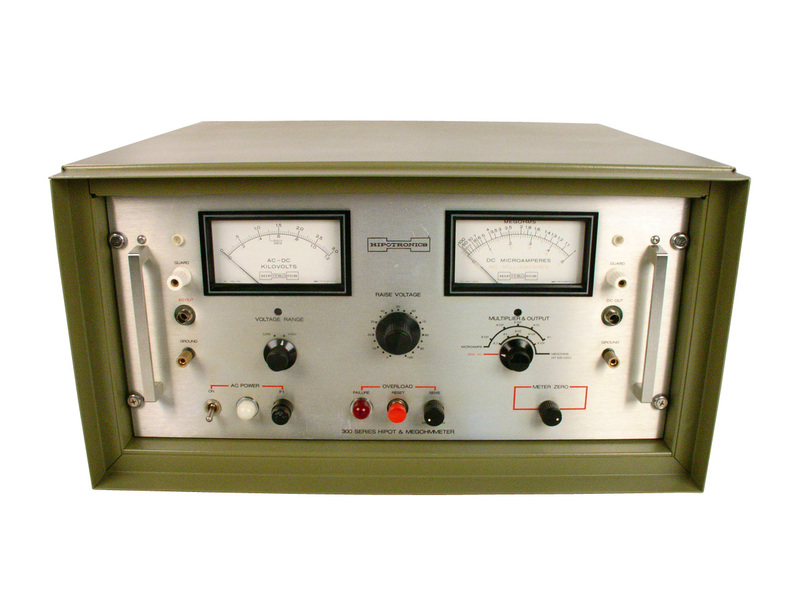 Hipotronics H306B-A - AC DC Hipot & Megometer. 0-5KV AC, 6KV DC, 0-5.5 mA Hipot, up to 100,000 MOHM. 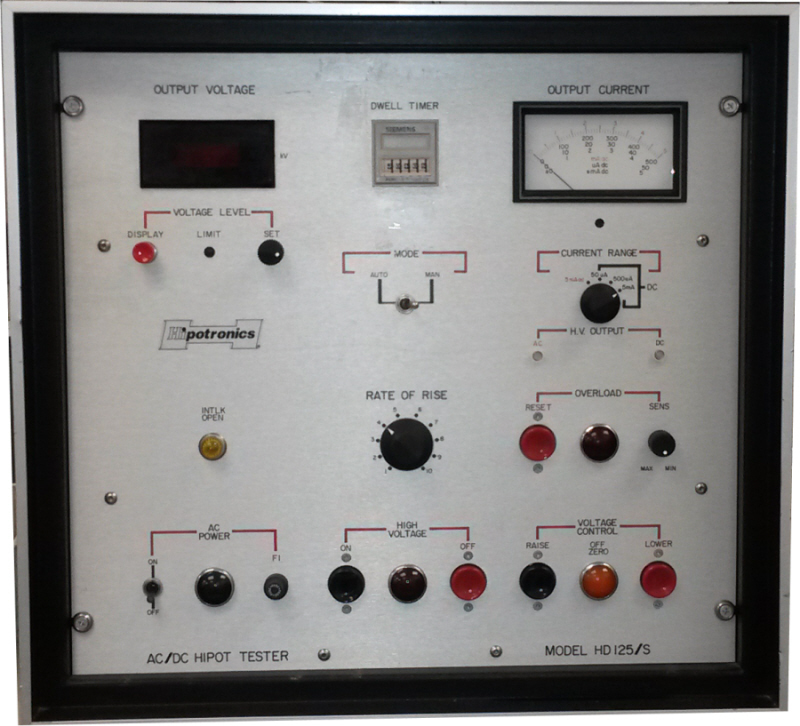 Hipotronics HA3-AT-A AC Hipot Tester. 0-3 kV, 0-5 mA. 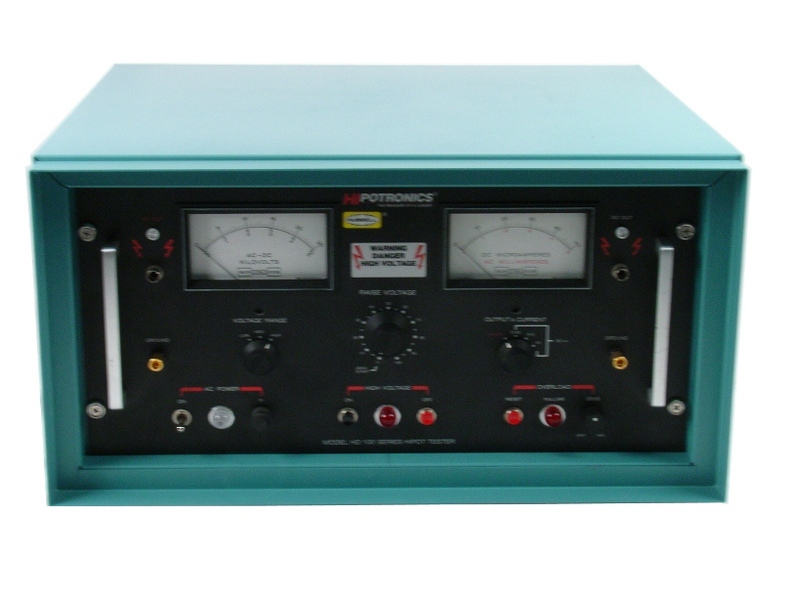 Hipotronics HA3-AT-C AC Hipot Tester. 0-3 kV, 0-5 mA. 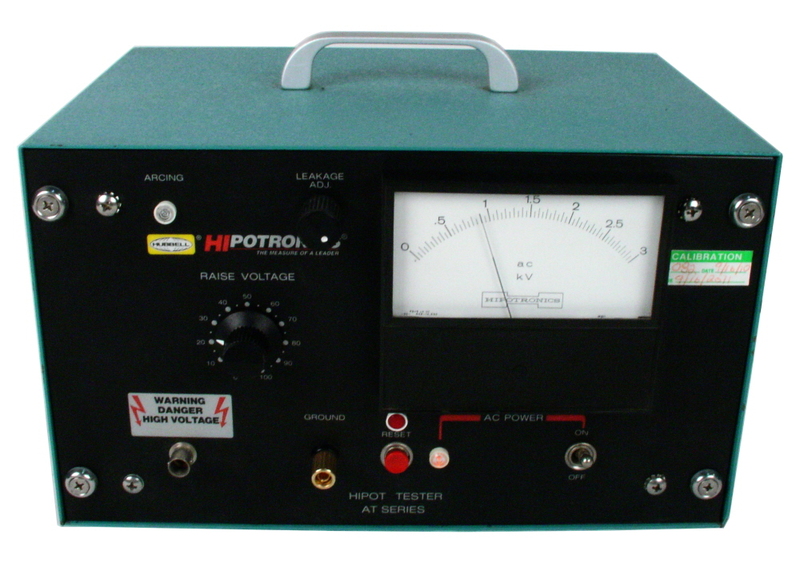 Hipotronics HA3-AT-CT AC Hipot Tester. 0-3 kV, 0-5 mA. 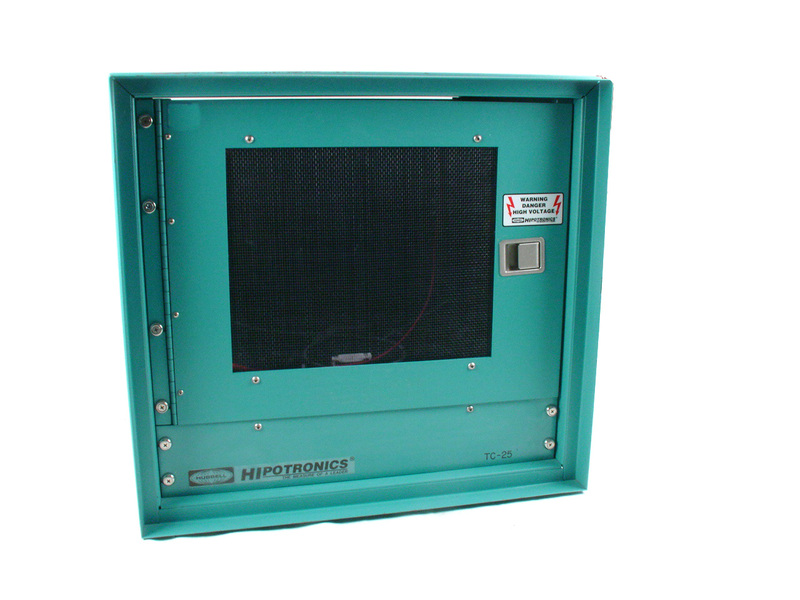 Hipotronics HD106-A 0 - 6 KV DC, 0 - 5 KV AC Hipot. Overload sensitivity Adjustable from 0.5 mA to 5.5 mA. 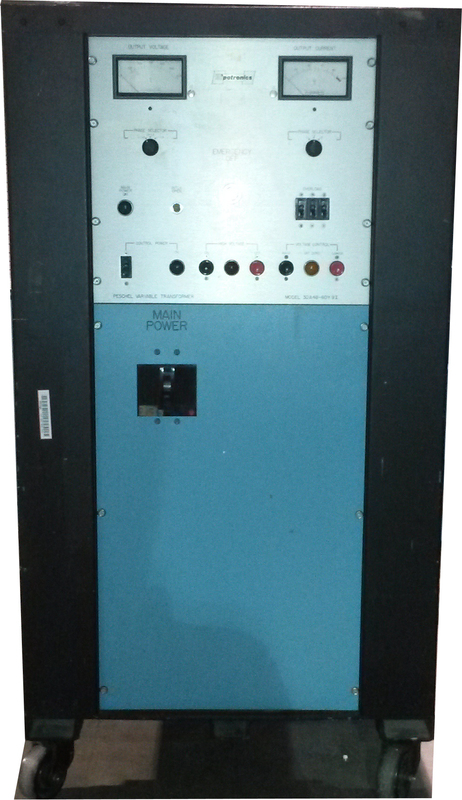 Newer vintage unit, 120V AC line voltage. 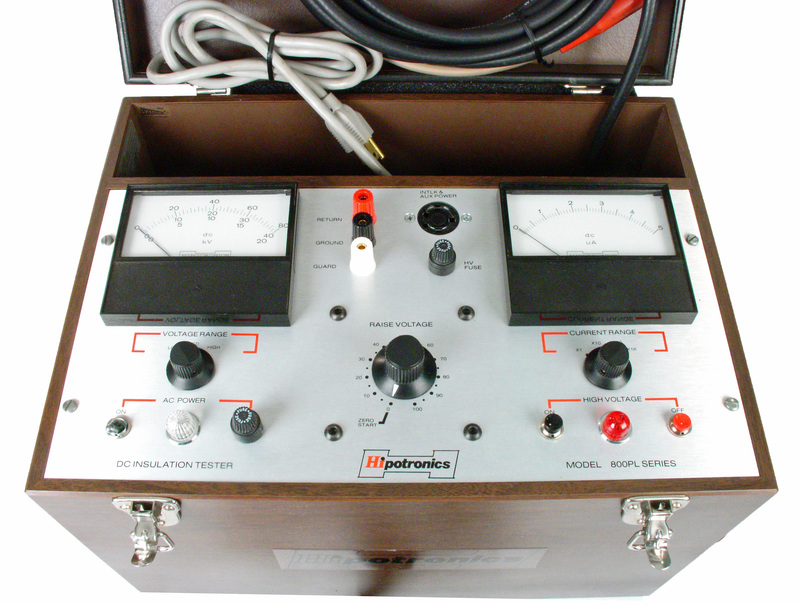 Hipotronics HV-5C High Voltage Megohmmeter. 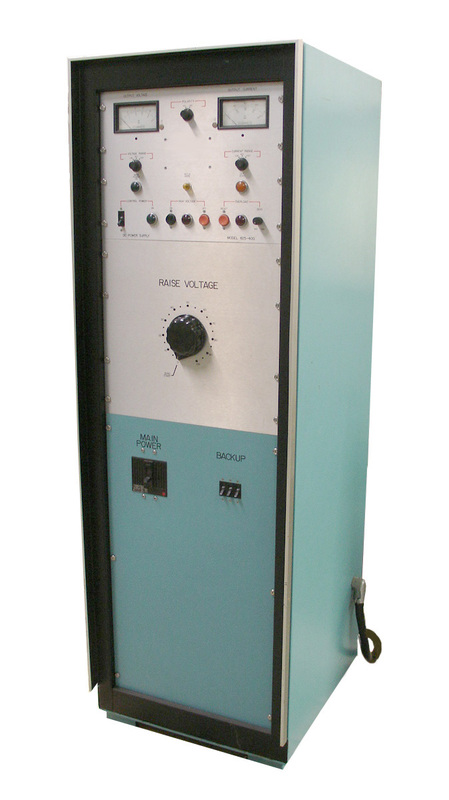 Up to 5 kV test voltage. 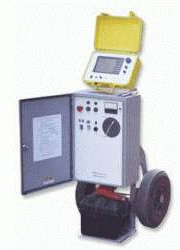 Field portable with internal rechargeable battery. 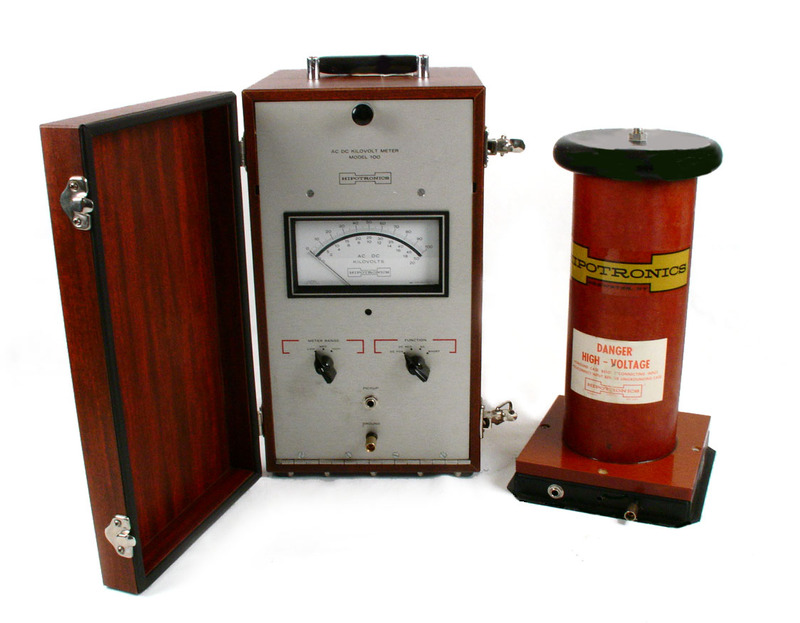 Megger Megohmeter. 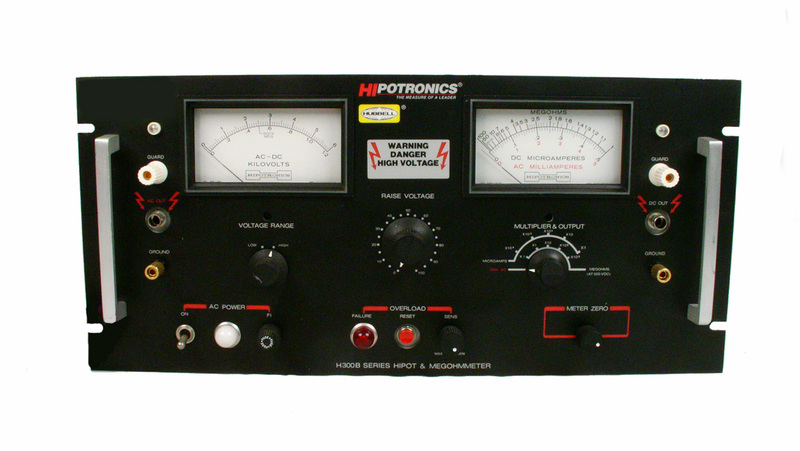 Hiptronics KV-50A - 50KV AC / DC Kilovoltmeter. 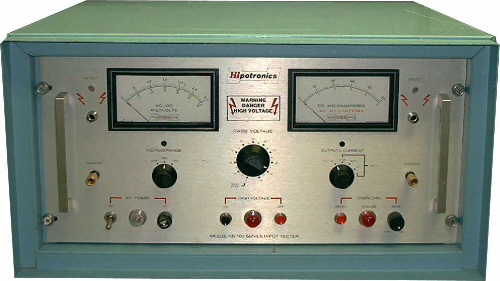 Hipotronics KV200D KVM200-A kilovoltmeter. 0-199 kV AC or DC.